Sujok Therapy is a healing methodology based on Acupressure and is a simple method that produces highly effective results. In Sujok therapy, the palm and foot represent all the active points in the body corresponding to all the organs or parts of the human body. 1. sujok therapy is its immediate and strong treatment effect, which can be received without additional pharmaceutical drugs or medical apparatus. 3. 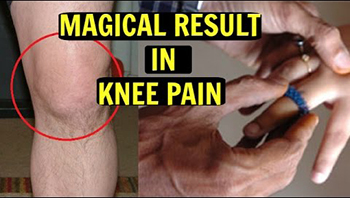 This therapy is 100% safe, simple and easy to perform even by the patients. 4. since the therapy is natural and curing only the natural forces in and around the body, It is also one of the safest therapies ever known. In Sujok therapy, the palm and foot represent all the organs or meridians in the body. Su means hand while jok means palm. Since hands and feet are the locations of systems of active points corresponding to all organs and parts of the body, stimulation of these points produces a curative effect. This method is universal. With the help of sujok, various kinds of illnesses can be treated. Through Sujok, one can diagnose the problem easily. By pressing the key points and applying pressure in the right direction, one can cure the problem. Sujok therapy helps in treating many kinds of mental disorders. Depression, extreme phobia, anxiety, addiction etc are some of the mental disorders which can be treated by Sujok therapy. The principle of Sujok therapy is to restore balance and enhance physical as well as mental health. It is also known that Sujok therapy is beneficial in alleviating symptoms of several physical disorders or physical ill health conditions. Just pressing or massaging key points in the palms or feet, could eliminate chronic diseases such as bronchitis, blood pressure, asthma, constipation, IBS or irritable bowel syndrome, ulcer etc. This therapy is also popularly known for treating gastro-esophageal reflex disease, gastric acidity and prolapsed disc. Moreover Sujok therapy is also known to ease the side effects of chemotherapy. A good night's sleep is very essential for every individual. Our body requires enough rest time to recuperate, repair and regenerate tissues and cells. However at times many people suffer from insomnia or are unable to fall asleep. Sometimes many people also suffer from poor quality of sleep. If you are one of those who find it difficult to fall asleep then you might be suffering from insomnia and require treatment. Insomnia is considered to be a disorder and as a symptom of any other underlying disease. Some experts believe that insomnia is caused by serious stress. The treatment for insomnia will depend on its root cause. Alternative treatments such as Sujok therapy work as stress reliever and can be of benefit in treating insomnia. Massaging specific points on palms and feet would be very relaxing. This in turn aids induce sleep and prevent disturbed night's sleep. Apart from so many other benefits; Sujok therapy also has a tremendous benefit and that is; it aids in healing all types of injuries related to neck, feet, hands, joints etc. Sujok therapy is in fact an excellent treatment for inflammation-based disorders such as arthritic pain, carpel tunnel syndrome and gout. The therapy also eases several skin disorders and reproductive problems as well as sporting injuries. Diabetes: One of the best benefits of Sujok therapy is that it helps in reducing the symptoms and improving the condition in diabetes. 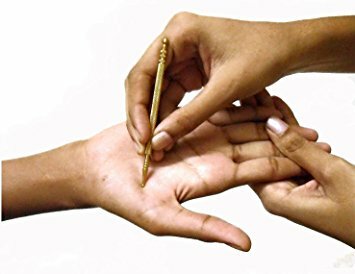 Sujok is a variation of Acupressure or acupuncture that makes uses of specific points in hands and feet. With Sujok therapy that make use of seeds, star magnets, semi –precious stone along with pressure stimulation; diabetes symptoms could be treated well. Sujok therapy is also known to relieve back pain. In Sujok Seed therapy, seeds are used in the Sujok treatment. Seeds are known to be the source of life. These seeds are used to create pressure on certain points on the palms and soles, in Sujok therapy. This aids in treating disease and relieving pain. It is believed that round shaped seeds such as peas, pepper, etc are used to treat eye problems, headaches and also pain of back and several joint pains including knee pain. Here, appropriate seeds are tied to the point of pain with an adhesive plaster. It would be surprising to note that after the treatment, the seeds change their shape and also structure. They become brittle and fade. As per Sujok therapy, such a kind of change means that the seed extracts the disease from the individual and relieves his or her pain. Are you worried because of being overweight? Do you want to reduce some extra pounds? Then you may be benefited by this wonderful alternative therapy known as Sujok therapy. It must be mentioned that Sujok therapy with Acupuncture is absolutely a potential medicine to control obesity. The beauty of acupuncture is that each treatment is catered to the needs of the patient. Sujok's energy concept for treating is only on the palm that will be chosen for overall well- being with the objective of increasing blood circulation and vital energy and reducing the extra lipids. So, one can try Sujok acupuncture for reducing weight effectively.